In the Land of 10,000+ Lakes "Friends for FUN, Safety and Knowledge" is not just a slogan; it is our way of life! 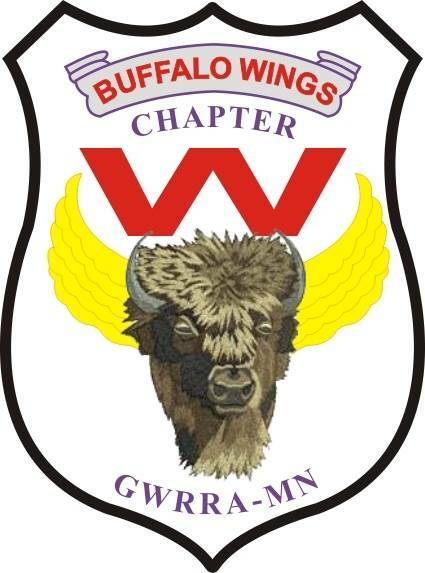 Gold Wing Road Riders Association (GWRRA), Minnesota Chapter W, the "Buffalo (area) Wings", has it's starting ridepoint in the city of Buffalo, Minnesota. We are NW of the Twin Cities. We would like to invite you and your family to join us for some fun and motorcycle riding. The Chapter has its monthly Social on the first Tuesday of each Month. We have weekly Tuesday night rides (from the last week in April through September) which depart at 6:30 from the standard ride point. The location of the Monthly Social and the Ride Point location is found on the Events page. We also have many Saturday rides. Also spring and fall weekend rides. Check out our events page for all of the details on the rides and other events. If you have any questions contact the people listed on the contact page. They will love to answer any questions about the chapter. You see a biker, someone else sees a dad, mom, grandparent, brother or a child. A link is available for GWRRA membership info or to join GWRRA on the Links page. After joining GWRRA, go to the registration page to create an account on this site. Have a question? Please contact the chapter director Dave & Belinda (Linda) Angell, or the webmaster Jim Rivord with any and all questions. Copyright 2013 GWRRA Chapter W. All Rights Reserved.